Machu Picchu has been a great tourist destination for a long time now. Being a UNESCO world heritage site, it features a lot of attraction sites for people from all walks of life. Machu Picchu is the only intact surviving city of Inca in Peru. Being situated at 2360 meters above the sea level, it surely takes you closer to the beauty of nature. We all would naturally want to be in such a place but the question that begs for answers is how to get there. There is no road between Cusco and Machu Picchu. The road exists only up to a point between the two places and that is Ollantaytambo, it is somewhat midpoint and after this, the train is the only mode of transport between the two places. Thes trains provide the customers with three departure points – Cusco, at Urubamba, and at Ollantaytambo. And, all have different travel time before you can reach Machu Picchu station in AguasCalientes. The Expedition is the most economic train and has various facilities like AC and heating in the cabin, large panoramic windows for a clear view of outside scenes, as well as a highly spacious and a separate luggage area. It costs you around $65 one way and has 6.50 as departure time from Cusco and 10.51 arrival time. From Ollantaytambo, it has various departure times starting from 5.37 to 20.35 and arrival time from 7.44 till 22.58. The Vistadome is the upgraded version of The Expedition and is a little costlier than it. It costs you around $100 one way, but with this huge amount, you get to enjoy lots of services such as comfortable, air-conditioned, plush leather seats, fitted with panoramic windows, and most importantly it has a wide variety of snacks and beverages (Non-Alcoholic) and all this included in your ticket price. From Cusco, its departure time is 6.05 and arrival time is 9.52. From Ollantaytambo it has different departure and arrival time, 6.40 -16.03 being the departure time and 8.01 – 17.42 the arrival time. 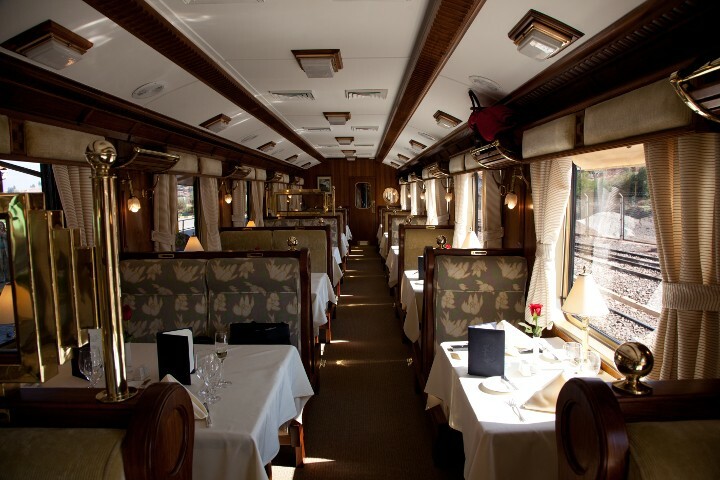 Hiram Bingham, being the most luxurious among all the three trains of PeruRail, it costs you around $400 and only runs from Poroy station with the departure time being 9.00 and arrival being 12.25. It has a very well furnished interior and also has an in-house bar and kitchen. Hiram Bingham is named after the man who gave Machu Picchu the real recognition. It has services like a Welcome cocktail as well as an onboard gourmet lunch, and a spectacular observatory car, which makes it different from all. 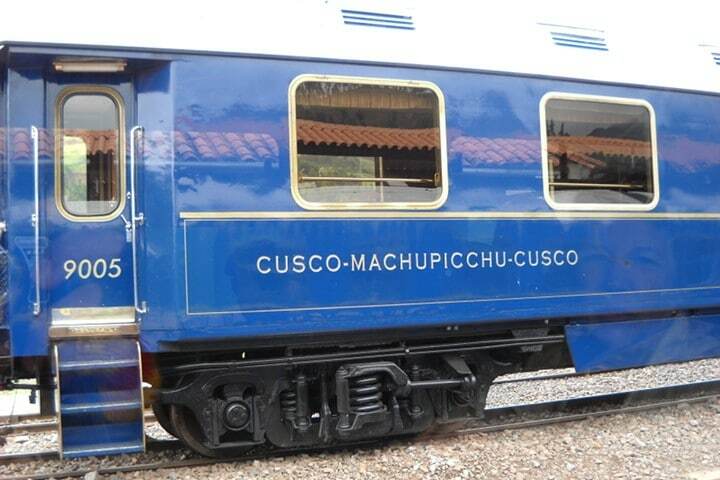 It is indeed one of the best trains from Cusco to Machu Picchu. Inca rail provides you with 3 class of travel: Machu Picchu train class; executive class; the first-class; and the presidential service. The trains of Inca rail operate from Ollantaytambo three times a day in high season (April through October). The Machu Picchu class is also known as the tourist class. 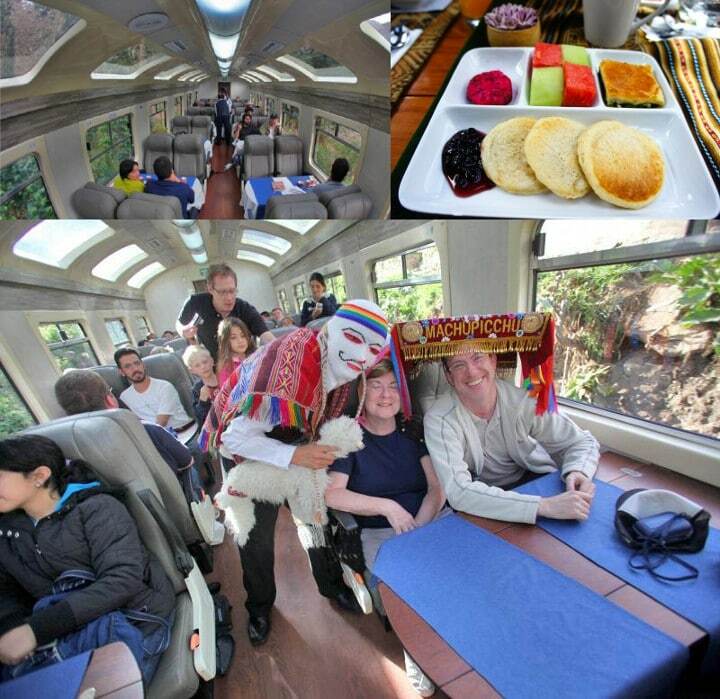 Machu Picchu train class/ tourist class are like the economy class among all the four. It is quite cheap in comparison to the other three. It will cost you around $75 per person one way and has a very comfortable structure and seating arrangement. Snacks and refreshment will be served on board. The first class is the luxury train. It has plus-sized seats for extra comfort and costs you around $200 per person one way. But if you are paying $200, it is worth it because they provide you with so many onboard facilities like expansive panoramic windows for a better view and thirst quenching welcome cocktail. Also, you can choose between gourmet lunch or dinner as well as background music and much more. The departure time is 19.00 and the arrival time is 20.41. The Executive is the lower version of the tourist class which costs you only $60 per person one way but it is not as spacious as the other trains. It is a quick and economical option to choose. They provide you with onboard snacks and drinks with music in the background. This option has different departure and arrival time. The first set being the departure at 10.32 and arrival at 12.12 and the other being the departure at 16.12 and arrival at 17.50. The Presidential-class is the Inca Rail’s high-end option being the most expensive and the luxurious option. The cost of booking is $5000 and you’ll have to make a prior booking for the entire car. The train is well decorated with wood interior which gives it a luxury touch. Also,the food that they provide you is prepared by the best chefs of the region and after the meal, they provide wine or cocktail which is also the best in the region. It has an onboard stocked open bar with a variety of drinks. Other than these train networks, there are different trail and trek routes to travel Machu Picchu. Inca trail is an alternate route; time taken to reach Machu Picchu is 4-5 days covering 82 kilometers. Salkantay trek is another alternative. It is a 7-day long trek and then joins Inca trail in the end. Lares trek is the most popular trek route, which takes 2 to 3 day to complete the trek. There are many more options available but the safest mode is train travel to reach Machu Picchu. If you want a better deal than others to travel to Machu Picchu come to us, we also provide exciting offers. Machu Picchu is the dream of a traveler and we make that dream true. Previous postMachu Picchu closing …?